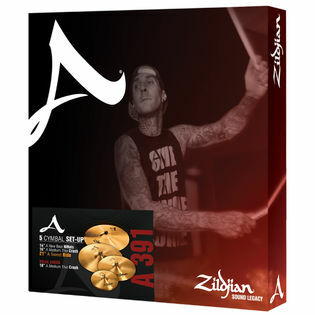 The Zildjian A391 A series box set includes some of Zildjians most popular and versitile cymbals. The A Zildjian line is known for its bright, focused overtones and ability to produce as much volume as the music demands. Perfect for any style, the cymbals in the A391 pack have been choosen to blend well with each other while each having their own musical voice. Save big by purchasing these cymbals together in this pack. All Zildjian products may only be sold within the USA.